Your unique style is found in every detail. 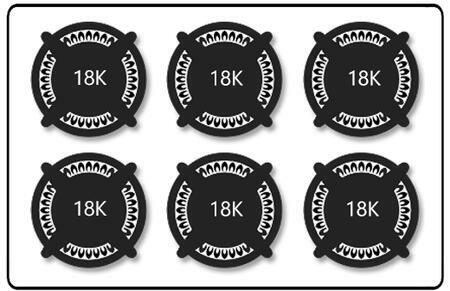 So, why do appliances all look the same? It's time to redefine your space with appliances that deliever superior performance and can truly express your personal style. 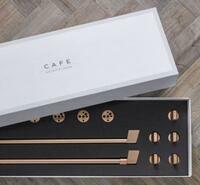 Introducing The Matte Collection by Cafe. A collection of modern kitchen appliances that you can customize. Modern Matter Black or elevated Matte White finishes set the canvas, and our distinct line of customizable hardware options complete the look that reflects your personal style. 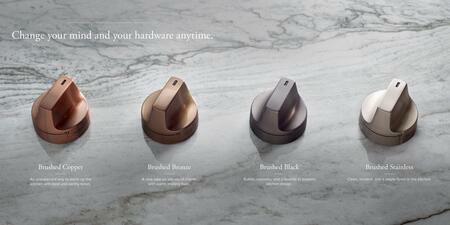 Add personal style to your kitchen appliances with designer-curated hardware. 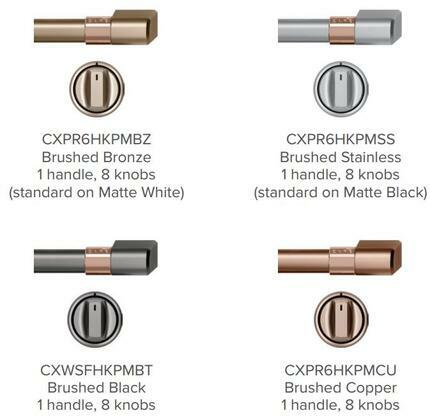 On nearly every piece in the Café Matte Collection, you have the option to change your hardware to a different finish to bring your personal kitchen vision to life. Good interior designs incorporate textures, patterns, finishes, and materials that visually connect the home. Flat on one side and uniquely contoured on the other to accommodate round-bottom woks. I really love my new appliance. It not only looks amazing but it is so great to have 6 burners. 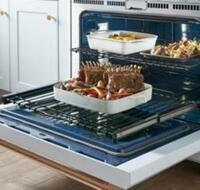 Love the oven, heats up quickly and make my food on point. 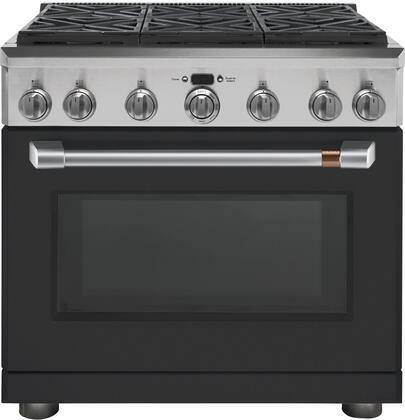 It has great features, cooks evenly and fits the style I was looking for. Â Â I shopped around for a new range for quite a while and end up buying this. My husband and I both love this stove. We are very pleased with the purchase. Pretty basic to use and understand. Â Â I've had this range for about 3 months and I love it. It's great looking and works perfectly. I love the fact that the oven bakes my cookies perfectly without burning the bottoms. I love the stove portion as well, the burners are amazing. 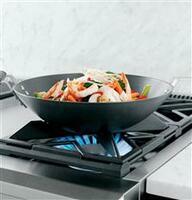 Â Â We are pleased with the performance of the cooktop as well as the oven. We are overall happy with this purchase; and if it lasts as well as the last one, we'll purchase another. 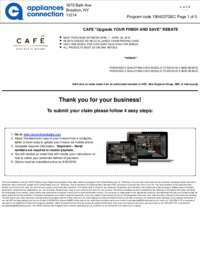 Â Â I'm an extreme fan of GE Cafe products, I like every item I have bought from them. The stove is wonderful I cannot stop cooking. The family says the food test better my baking is much better. Â Â Awesome stove!! Size is perfect, looks and cookÂ’s great. Easy to clean. The stove made the kitchen look amazing. My husband and I love to cook. Â Â I love cooking with this range. Food is so moist. Cooks very evenly. This unit is just beautiful. Doesn't overtake the kitchen. Very functional and easy to use. Â Â I'm very pleased with the range so far. The oven seems to bake evenly, preheats quickly. The stove top is working properly as well. 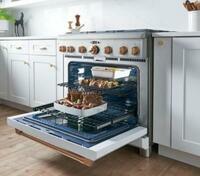 I feel like there is a lot of surface area on the stove top, and the oven is very roomy. The range has enough features for the right price. Everything that we tried have taken less time to cook and with the convection feature, are more evenly cooked. Â Â Bought this GE Cafe Matte Collection range a month ago! No problems so far. Love the features. The stove top burners work great especially the quick boil. The wife loves it and the all features work really well.